We all want our children to have fun, free, and joyful childhoods. At the same time, though, we also want to do our part to plant the seeds for them to one day become responsible adults. Here are some tips for raising your kids to respond wisely to whatever the world throws at them. Money is one of the greatest areas of potential distress and tension in the lives of all adults, and it’s essential that you give your child some good principles for how to deal with it while they’re still young. One of the best tips for instilling this kind of financial good-sense in your child is to get them a piggy bank and give them an allowance. The next step is to supervise how they handle their money, and discuss with them how they’d like to spend it. You’ll notice that they quickly begin to realise that money is finite, and that spending and saving must be managed in a sensible manner lest they find themselves with nothing. 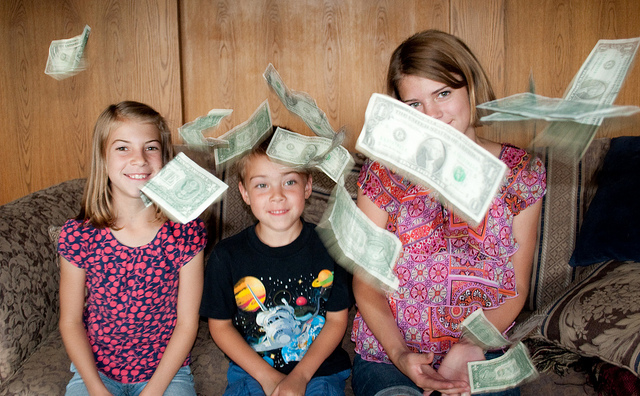 Ideally your child will grow up to be debt-free and fiscally responsible. If they do ever need to take out a loan, try ensure that they’re cautious enough that it will be from a reputable company like signature.loan, rather than the local loan shark firm. Children are often taken by sudden flights of fancy and fall from one interest or hobby to another at the drop of a hat. Likely they’ll approach you on a regular basis to ask about joining a new sports team, or trying out a painting class, or learning guitar, or something similar. While you should, by all means, support your child’s exploration of different hobbies, you should also teach them the importance of sticking with a thing and being thoughtful about their choices. One easy way of doing this is by making your child stick with any hobby they’ve picked up for at least a few months, even if they quickly let you know that they’re no longer interested any more. While you should always be there for your child when they need you, you also need to get started on letting them practice autonomy and independence from an early age. This doesn’t mean that you don’t help them with their homework, or that you expect them to cook their own dinner and put themselves to bed. It does, however, mean that you have certain chores and expectations for them which they need to adhere to. A good example could be having them make their bed each morning, or clean up their room once a week. What every child needs most of all is to be raised in a loving and nurturing environment. Children who are given the love and understanding their need are much better placed to be emotionally healthy, resilient adults when the time comes. This, of course, means that they’re also more likely to be responsible in their grown-up dealings.